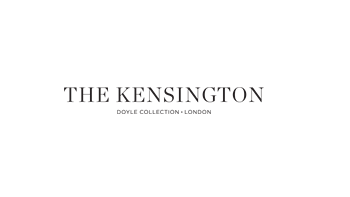 Set in the heart of one of London’s most desirable neighbourhoods, The Kensington occupies a prime location. Situated in four grand townhouses, the hotel’s façade is characteristic of this affluent 19th century district, which is home to cultural treasures like The Victoria & Albert Museum, The Royal Albert Hall, and green spaces of Kensington Gardens and Hyde Park and world-famous stores Harrods and Harvey Nichols are close by. With open fires found in nearly all the hotel’s ground floor reception rooms, entering The Kensington hotel feels rather like walking through the doors of a lovingly-restored London mansion. The high ceilings and heritage décor evoke a sense of Victorian grandeur, while the hotel’s famously friendly and engaging service creates a relaxed ambience reminiscent of an exclusive private members club. The warm jewel tones, creative English menu, and easy atmosphere at Town House restaurant mean drinks and dinner with friends easily becomes a night to remember. How to treat regular breast pain or mastalgia .